You must make reservations at least 5 minutes in advance of the time at The Silver Pig Bar & Oyster Room. The Silver Pig Pizza and Oyster Bar is an intimate craft cocktail and wine bar that serves brick oven pizza, fresh oysters shucked to order from all over the world, small plates and snacks. Bring your friends for a social night out and experience a variety of the freshest flavors. Enjoy our specials every week: Mon – $1 blue point oysters, Tues – 1/2 OFF pizza, Wed – $1 short rib tacos, Thurs – ladies’ night with 1/2 OFF craft cocktails. HAPPY HOUR is Mon-Fri (5-7pm only) with $5 small plates, cocktails and wine. Welcome! Dinner and drinks with another couple, had a great time. It was wonderful to have a chance to talk and catch up without feeling rushed and while enjoying great food and drinks. So exciting have found this restaurant. Waitress was awesome. Great environment. This place was so fun! Made us feel like we were at a speakeasy. Loved the cocktails, try something with the spun sugar-worth the $$. We also loved the pizza and sea food tower. We will head back again with friends! PS don’t forget to ask for truffle popcorn. Oh so yummy!!! Sat at the bar - had the bacon wrapped dates and the shrimp ceviche as an appetizer then a silver pig special pizza - everything was great and also great service! Had a great time. 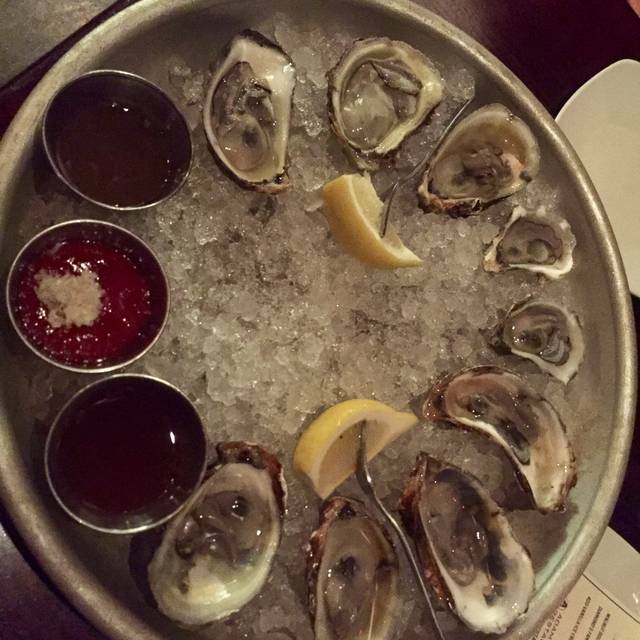 Lots of oyster options, great small plates and very good cocktails. We'll be back soon!! We arrived just as they opened so crowd & noise was not an issue. We ordered a strange combination of foods to share. Somehow it all worked together & was delicious. Our server was friendly & very helpful when we asked for recommendations. We will definitely be back. Food was fantastic! Tables are very small and the restaurant is tight quarters but service was very good. Will definitely go back! It's great to find such a nice restaurant in Howell. I'm actually in Lansing area but I would love to visit back for food and drink. The cocktails are so delicious. 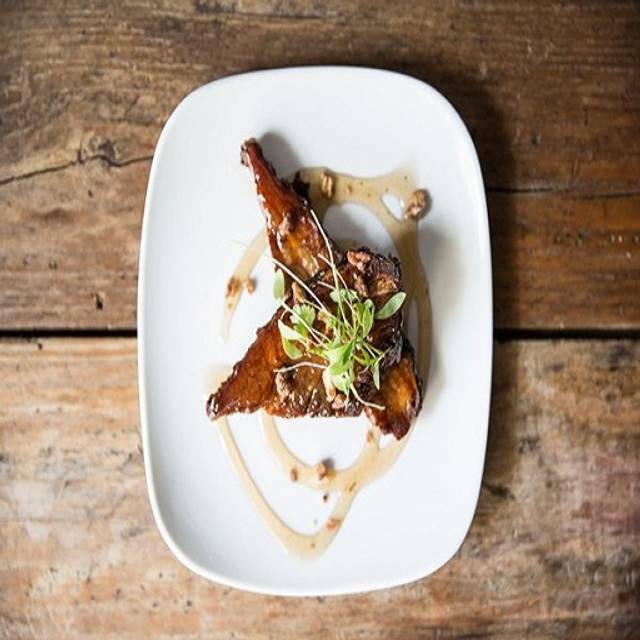 I would recommend silver pig to my friends who love exploring restaurants! Excellent service, knowledgeable staff, fantastic food, (loved the oysters) imaginative and delicious drinks. Atmosphere perfect for a date night, or small family celebration .We will definitely return! First time here. My daughter and I loved it! We had a pizza, shrimp cocktail and the pork belly as well as a free slice of carrot cake for my birthday. We will be back! We came on Valentine’s Day for our anniversary and everything was great! We absolutely love this place! It is quaint, the food is fantastic and the service is always top notch! Every detail has been catered to, this is a must try. This was my husband and I’s first time here and it was awesome! We’ve been looking for cozy, cool little places like this and couldn’t have been happier to find this. I had a tequila cocktail- it was great. We split the nachos, short rib tacos, and a pizza. Love the tapas style so you can try multiple things. We will definitely be back. It is small so I would recommend reservations- we had them and got seated right away! Food is amazing, and the service is even better! We loved it! It was awesome and so fun. Dining experience is always humorous and spectacular. Great service from Kristen. Pizza is excellent. We also had a shrimp cerviche small plate........excellent.....also tried the carrot cake. The truffle post corn was mediocre. Overall a very nice restaurant/bar. The food is unique and great. We love dining there! Mid evening New Year’s Eve dinner with our son and dautherinlaw. The reservation worked perfectly. Requested a table and a 7:45 reservation. Was seated right on time. The food was great as always. We shared a couple bottles of wine and 8 or so small plates. Our server was a delight. It was a great night to end 2018 with. Hope they keep it up ! We frequent from time to time, this was a last minute NYE kick off and had a wonderful time. The NYE specials were wonderful, we had oysters and crab/lobster cakes. Drink menu is so much fun! What a great place. The service was top notch and the food was outstanding. Try the east coast oysters and the Oyster Rockefeller. The French onion fondue is amazing. The bartenders are magicians and put on a fantastic show. I can’t wait to go back! This is a wonderful place to eat. The pizza is amazing. The small plates are fresh and delicious. The very best thing about this restaurant is the oyster bar!! East coast and west coast oysters served with three different types of cocktail sauces. And the oyster Rockefeller is to die for!! The entire experience is wrapped up in a very warm and welcoming atmosphere with great waitstaff. You can’t go wrong at the Silver Pig. We come here often! We love the service & the food. My husband and I tried this on a date night. It’s a small, intimate place with a decent selection of interesting cocktails, wines, and beers, as well as an interesting choice of food. We loved our sausage and wild mushroom pizza, devils on horseback, and French onion fondue. So so yummy. And truffle popcorn was served as a bit of an amuse bouche or lagniappe. The seafood looked good, but on that chilly night, I wanted something warm. We highly recommend. Ladies night prices on Thursday 1/2 off, Blake is a fantastic server! We had a reservation for 8pm on a Saturday. When we arrived we were told to sit anywhere, but every empty table was dirty with dishes and glasses. The 2 of us squeezed together at an extremely small table. Several employees walked by us multiple times (and the dirty tables). We had to wait about 20 minutes and then ask if one of the dirty tables could be cleaned off so we could enjoy ourselves. The place was pretty much empty so we were surprised at the state of the dining area. Otherwise the service was fair. Food excellent! Wonderful new creative menu. Plenty of options for any palate. We hadn't been in while and will make it a point to dine here more often. Had a great time lots of laughs. Love the setting. Service was amazing. Blake is a fantastic wait person, none better! Pizza choices are plenty. 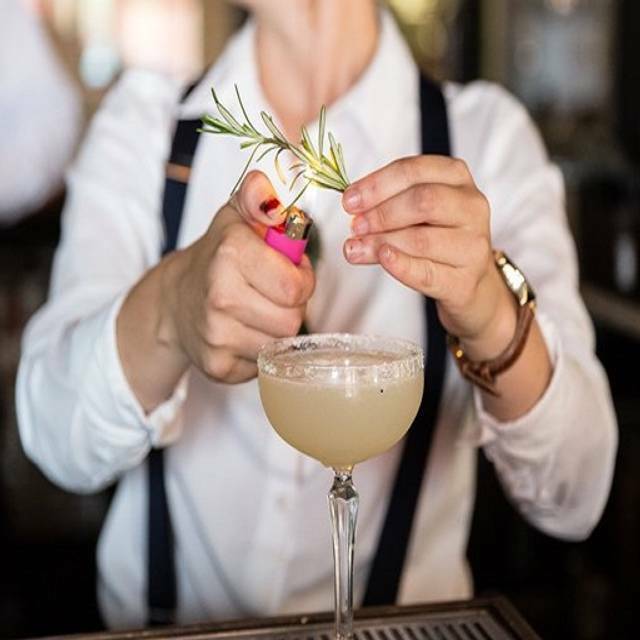 Ladies night is Thursday and cocktails are half off. Good and drinks were great! First time there from St Clair Shores and GR! I would recommend and definitely go back! Two of us enjoyed sharing three small plates that allowed us to try a variety without having to much food. Blake was our server and he was knowledgeable and attentive with great recommendations. We'll definitely be back. First time visited, loved the oysters, and brick oven pizza. Had some good beers and the atmosphere was casual, but up beat. Definitely will be going back soon. We arrived to the restaurant on time for our 7:30pm reservation to be informed by the host that “they don’t really use the online system and don’t really know he it works”. He went on to inform us that there would be an hour plus wait and that we really should have called or made the reservation in the morning. We left and had drinks elsewhere and he called us when there was a table available. We arrived to find the restaurant completely empty. The same host went on a brief rant about how everyone was staying too long and eating too much which is why they didn’t have a table for us. Food was good (could be great with some slight improvements) but service was lacking. The attention to detail was absent, with dirty dishes and glasses left on the table throughout the meal. The server kept interrupting conversation to ask if we needed water refills, rather than just refilling the empty glasses. The saving grace was the desserts (carrot cake and bourbon walnut pie) that were excellent. Love the gluten free pizzas and the good and plenty cocktail drink! The ambiance was great. The drinks and food were excellent. Free popcorn was provided, which was delicious. I can't wait to go back. We had a great time and will be back!! Food and service was great! Second visit to the Silver Pig. 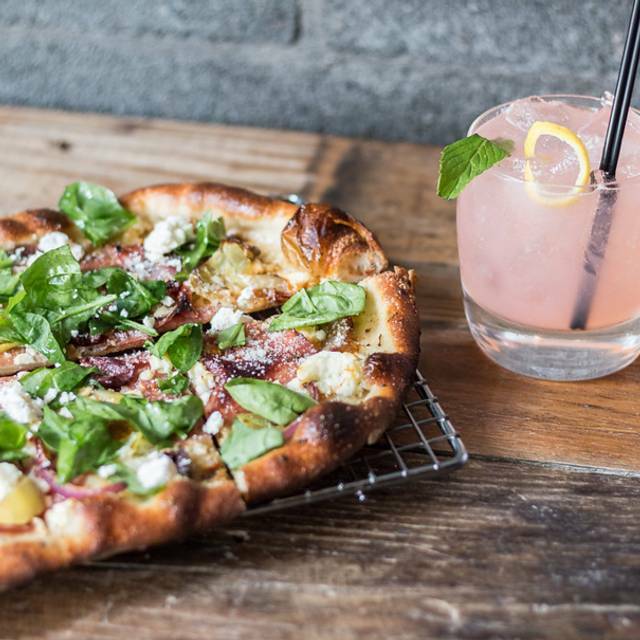 Great thin crust pizza and wonderful cocktails! I highly recommend this restaurant bar! Don’t miss the carrot cake! Always a fun atmosphere and great service!! Food and drink always done up right! Something cool and unique for Howell. Love it here!